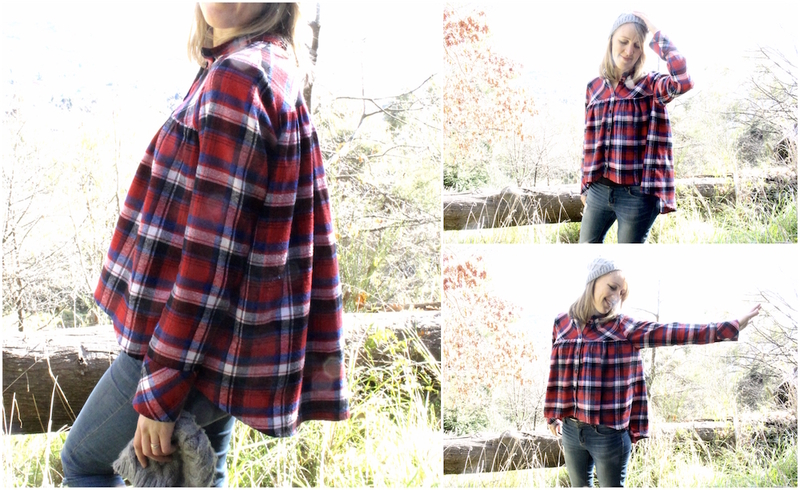 There’s just enough winter left here to enjoy a cosy flannelette shirt and I adore this fun, boxy version by Waffle Patterns. This is the Pancake Blouse, which actually comes as a straight hem, hip-length pattern. But Yuki also provides a free downloadable hack for this high-low option and it completely changes the look! I love it. I made mine with cotton flannelette and while it would look great in plenty of other fabrics, I just loved Yuki’s sample too much to veer from that look! Whatever you do use, just make sure your fabric isn’t too thick or heavy so you retain drape and the gathers don’t get too bulky. My Pancake Blouse came together in just 3 days and was straight-forward, aside from pattern matching dilemmas on the placket which was completely self-inflicted. Ah, perfectionism. The plaid must have some give too because I had to ease the front yoke into the placket to make it fit again. Thankfully, this stuff is very forgiving and I’m mostly convinced it was my own fault. My only hesitation is that the cuffs are just a band and rolling up the sleeves is a bit of a fiddle. They do push up to my elbows no problem, but if you’re a sleeve-roller and intend to wear it that way a lot, you may want to consider a hack of your own to add cuff buttons and a split. The flip side is, easier cuffs means more beginner friendly, so it could be a great introduction to shirts for someone who hasn’t made one before. All up, I’m a huge fan of this pattern and totally recommend it for your autumn/winter sewing list. It’s a fun twist on the traditional shirt but less restricting and plain. Hooray! Very cute! Love the yoke. Thanks Lynsey! Absolutely. 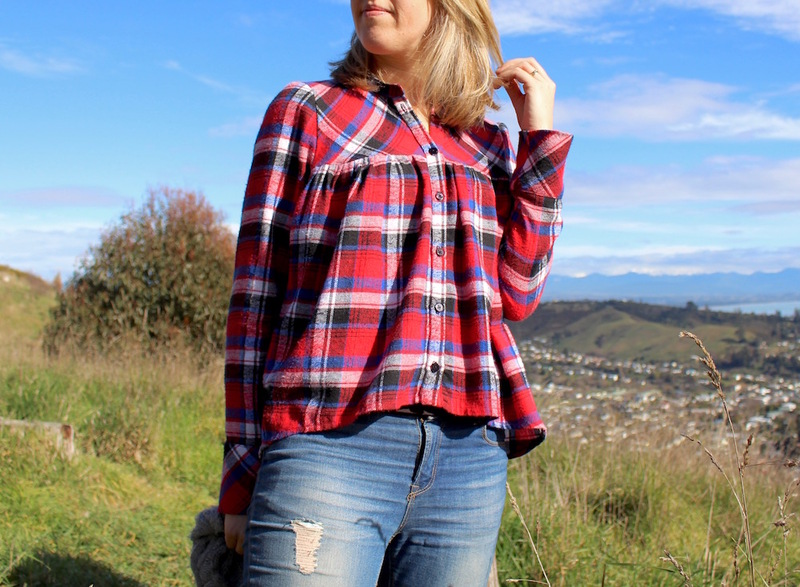 It’s a fun version of a casual shirt and that hem adds great interest. I love it!